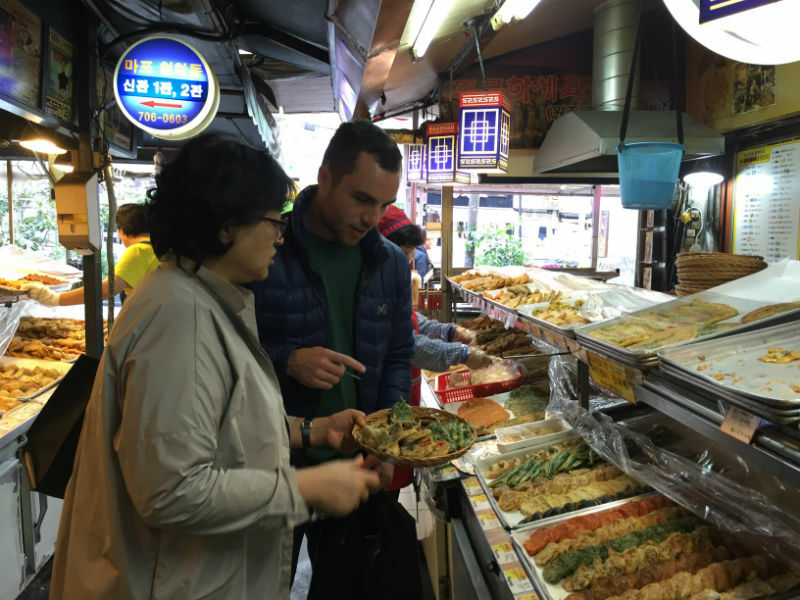 You will enjoy a perfect combination of a small-group sightseeing guided tour and authentic local food tasting through one of Seoul's most popular areas. One of the most authentic ways to learn about Korean food culture is to immerse yourself in a shijang (traditional Korean flea market). 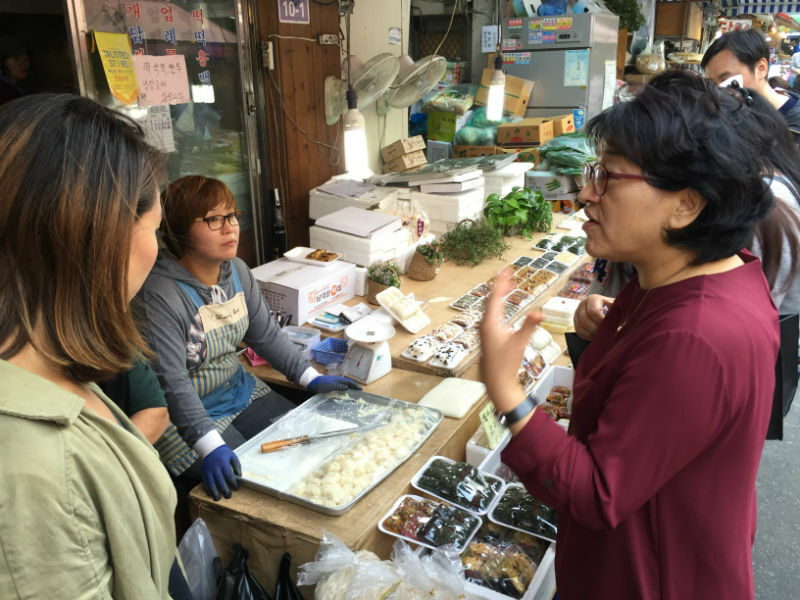 On this three-hour food tour, you’ll learn all about Korea’s culinary customs by exploring one of the city’s most bustling food and shopping districts, Dongdaemun Market. Journey through authentic pojangmachas, or street vendors, to taste a varity of sweet and savory street foods. Walk among locals through Mukja Golmok, which translates to “Let’s Eat Alley” and sample wide variety of local fare including Tteokbokki (rice cakes), Korean BBQ, Pajeon (savory pancakes), and Korean alchohol such as Soju (distilled liquor) and Makgeolli (rice wine.) We’ll make our way through authentic food outlets and stalls including the area’s best-kept secrets and popular hot-spots in this ultimate foodie paradise! My food tours are kept small so that I can provide the best personalized attention to my guests. I spend most of my time teaching cooking classes at my studio kitchen, showing small groups around Seoul has been a passion of mine for a long time! I look forward to meeting you!